The family may play an essential role in developing leadership behaviours, especially in family businesses where the new leader is often a family member. Despite the various calls for more research on leadership development and its contextual factors, few research addressed the question of intergenerational leadership development within the context of family businesses. This study offers an explanation for why and how family kin impacts the adoption of similar leadership styles throughout generations in family businesses. A conceptual model has been developed, which is based on the sub-processes of observational learning. 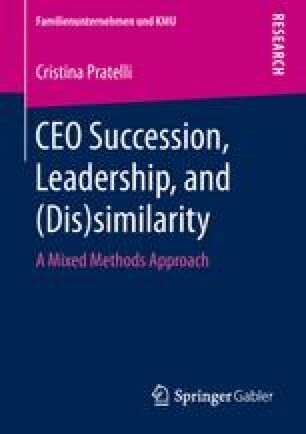 The model includes moderating factors at different levels: predecessor-successor gender similarity and successor pre-succession experience (individual level), relational distance and atmosphere (family level), and pre-succession and post-succession business outcomes (family business level). Implications on family business and leadership research such as limitations of the study are discussed.